Launched by Ontario’s Black Fly Beverage Company, the same brewery that sells ready-to-drink bottles with bold flavours such as sour grape and long island iced tea, Bob’s Super Smooth vodka is more laid back – sort of like the shaka sign that adorns the bottle that’s popular with surf culture conveying the concept of hanging loose or embodying the Hawaiian welcoming spirit. 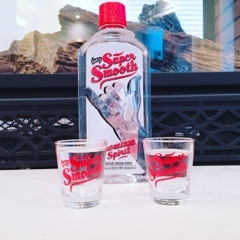 What sets Bob’s Super Smooth apart is it’s made from whey – they milky liquid leftover when cheese is made – rather than potato or grain, which traditional vodka is derived from. After being triple distilled and charcoal filtered, they hope to craft a spirit that’s smooth with little burn. Previously, I had conducted another blind vodka tasting using premium spirits and had thrown in Absolut as a decoy (to see if the premium pricing of fancier vodkas really mattered) and Absolut actually faired pretty well. The results? The majority of the group preferred Bob’s Super Smooth, but admitted the difference between the two were minimal. Indeed, they could feel the burn with both of them – but then I did was mean and made everyone sip the vodka plain with some lemon slices as chasers. My own experience yielded similar results: you could still feel Bob’s Super Smooth as it went down the throat but the effects were lighter and there’s a faint almost berry sweetness in the background. After being mixed with juice or water with a squeeze of lime the results are much better; with juice you can’t even taste it anymore. 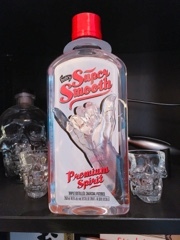 For the price, the Bob’s Super Smooth definitely is one you should try. After a few glasses, I’m sure you’ll even start hanging looser. Disclaimer: The above vodka was complimentary. Rest assured, as noted in my mission statement, I will always provide an honest opinion.